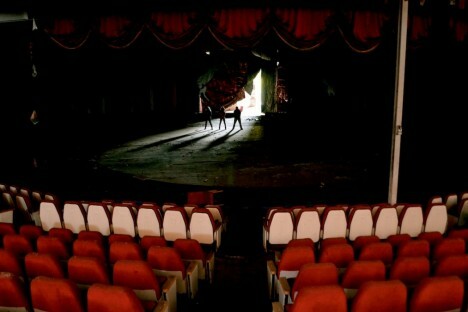 The crowds have dispersed, the animal cages are empty and the striped Big Top is eerily silent… there’s no clowning around when the circus leaves town. 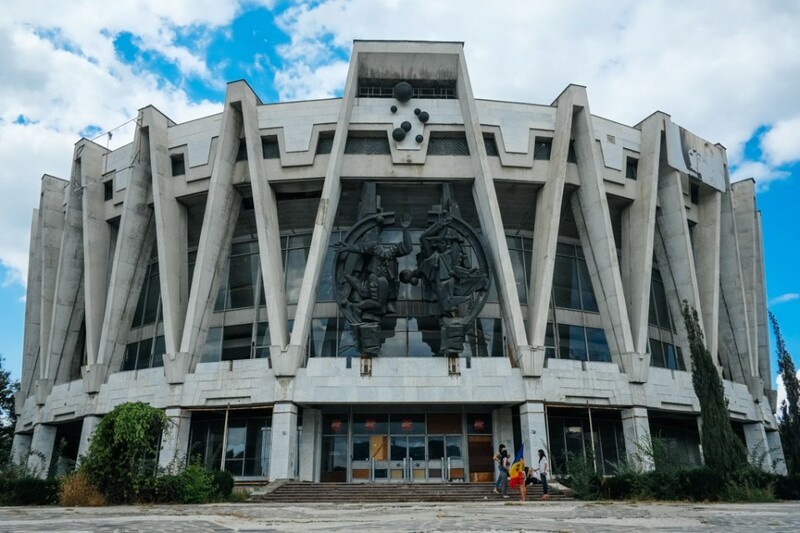 Say what you want about Soviet-era architecture but it wasn’t ALL atrocious, and this deserted circus arena in Chisinau, Moldova, still exudes a certain appeal a full ten years after it was abandoned. 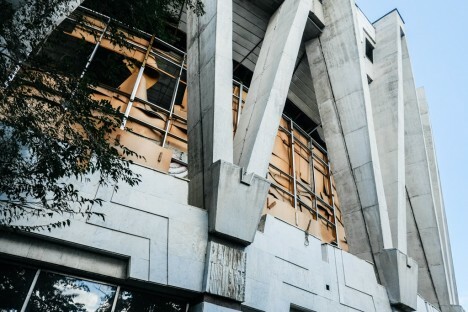 Constructed in 1981 and captured in its current state by Abandoned Journeys, the grandiose edifice straddles the last years of the USSR and the first years of Moldova, which gained its independence in 1991. 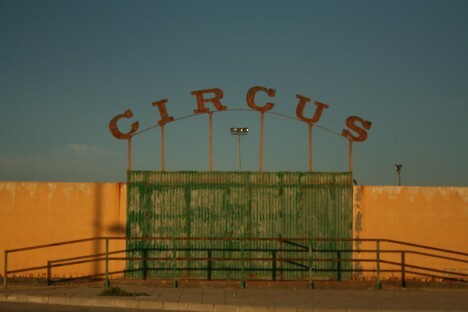 Freedom isn’t always free, however, and tough economic times in Moldova saw the circus shuttered in 2004. 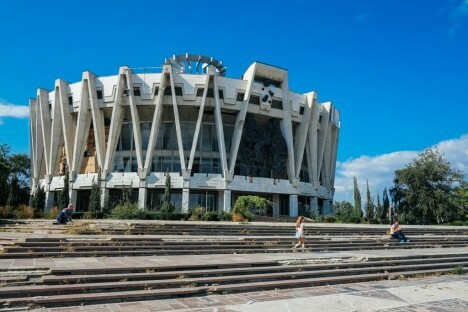 Nowadays it could pass for the decrepit, monumental, stair-terraced building that sheltered the childlike Eloi in the 1960 film The Time Machine. 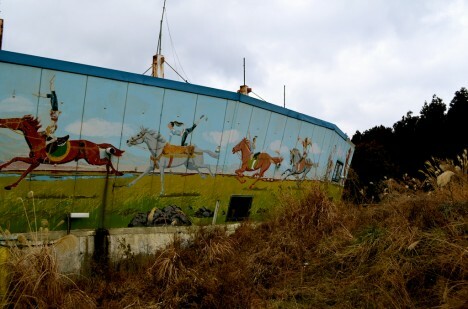 Is it a circus, a cinema, a car park or a staging area for Gypsy caravans? Well, the owners are absent and the Gypsies aren’t talking so your guess is as good as ours. One thing we DO know is the location: La Linea, just across the border from Gibraltar in southern Spain, thanks to An Overland Adventure. Jeju, South Korea’s southernmost island province, recently made the news as the destination of the ill-fated MV Sewol ferry that sank with the tragic loss of hundreds of students in April of 2014. 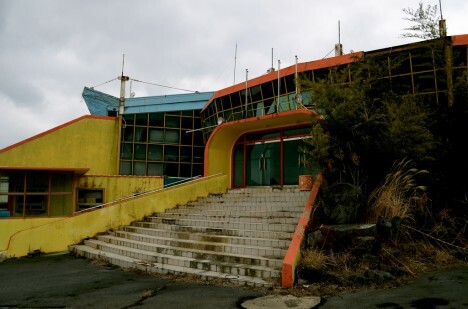 Jeju is less known as the site of an immense abandoned circus. 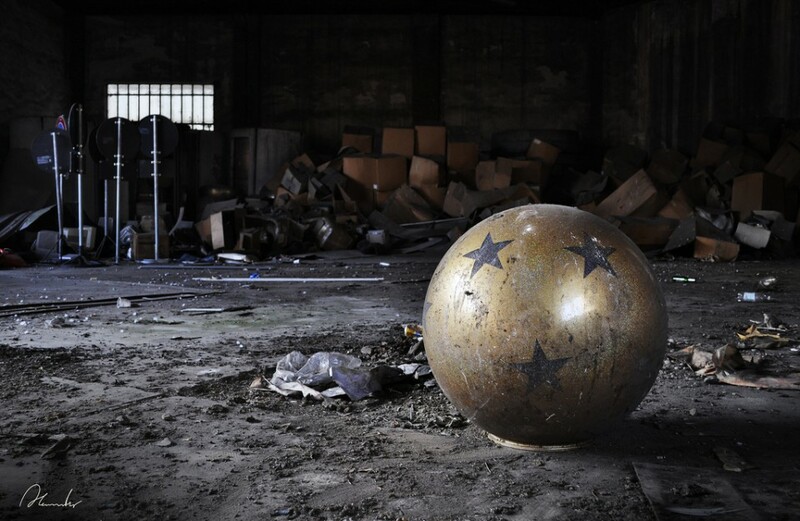 Obviously deserted for more than a few years yet easily accessible to urban explorers including Great Big Scary World, the source of the above images and more, the circus must have been a popular tourist attraction in its heyday. The Wintercircus, located in Ghent, Belgium, was originally built in 1894. 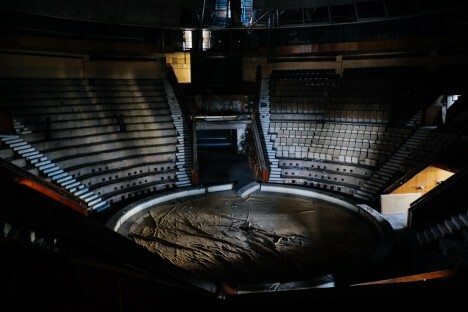 Devastated by fire in 1920, it was rebuilt and expanded three years later – the now Nouveau Cirque could hold up to 3,400 people! 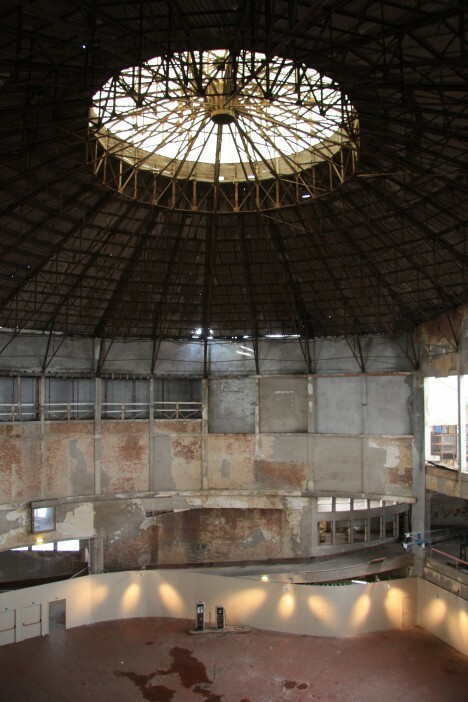 After the final circus performance in 1944, the building was used as a garage for the Mahy family’s extensive collection of classic automobiles until it once again closed – this time for good – in the late 1990s. 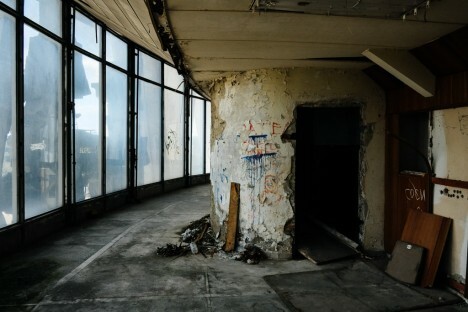 Kudos to Archikey and photographer David for the exquisite image above.